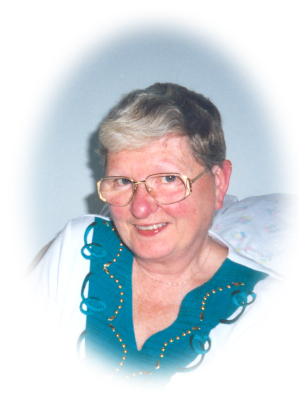 It is with profound sadness that we announce the passing of our beloved mother, grandmother and sister, Faith (Fay) Annette Shpulak on Thursday, January 17, 2019 in the Thunder Bay Regional Hospital. Fay was born on August 13, 1936 to Harold and Estelle Rexicker in North Tonawanda, NY, the oldest of five girls. After meeting and marrying the love of her life, Leon Shpulak, they moved to Thunder Bay. Fay had a strong faith and up until recently was very active in her church, Trinity Lutheran. Fay enjoyed car travelling and would plan trips to either visit her sisters (who live in various states) or travel to enjoy the sights and do a little shopping. Her grandchildren were very precious to her and she loved each and every one of them with all her heart. She was predeceased by her son, Roy, her husband, Leon, and brothers-in-law Don Barr and Ronald Miller. She is survived by her children Stan (Sharon) Shpulak and Susan (Denis) Ward, daughter-in-law Susan Shpulak, her cherished grandchildren Stuart (Jess) Shpulak, Adam Shpulak, James Shpulak, Andrew Shpulak, Elizabeth (Ian) Shpulak, Natasha Bieniek and Melissa Bieniek, as well as great grandchildren Bailey Shpulak and Aria Shpulak. She is also survived by her sisters Joan (Gary) Hunt of Niagara Falls, NY; Gloria Miller of Hesperia, CA; Carol Barr of Aumsville, OR; and Kathy (Bill) Bentley of Jamestown, NY as well as numerous nieces, nephews and cousins. Thank you to the staff of 3A at TBRHSC for all their help and support. Prayers will be offered Saturday, January 26, 2019 at 3:00 pm in the Blake Funeral Chapel. Funeral services will be held on Monday, January 28, 2019 at 1:00 pm in the Blake Funeral Chapel, with Pastor Neil Otke officiating. Interment will follow in Mountain View Cemetery. If friends desire, memorials to the Lutheran Community Care Center or a charity of choice would be appreciated. Fay Shpulak will be remembered in the Blake Funeral Chapel Memorial Grove. Annual dedication service Sunday, June 14, 2020.